Dee J. Kelly, Jr. attended the University of Texas, where he received his bachelor of arts, with honors, in 1982 and graduated from its School of Law in 1985. He then joined Kelly Hart & Hallman LLP, became a partner of the firm in 1992, and was elected Managing Partner in 2006. 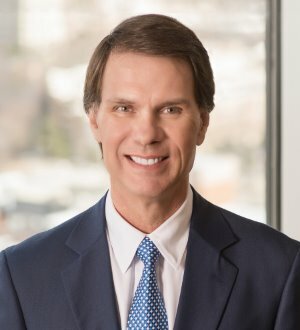 Mr. Kelly’s practice centers upon civil litigation at both the trial and appellate levels in a broad range of commercial matters, including business transactions, contract claims, tort actions, and oil and gas disputes. Mr. Kelly represents individuals, private business interests and Fortune 500 companies. He also maintains an active administrative law practice representing parties before state and federal agencies. Mr. Kelly is a Master Member of the Eldon B. Mahon Inn of Court and has been named by Texas Monthly magazine as a “Texas Super Lawyer” as well as an “Attorney of Excellence” by the Fort Worth Business Press. Mr. Kelly is a member of the Deans’ Roundtable of the University of Texas School of Law. He previously served on the Board of Trustees for AMR Investment Services, Inc. and was named by President George W. Bush to a three-year term on the Board of Governors of the United Service Organizations (USO) on October 20, 2004.